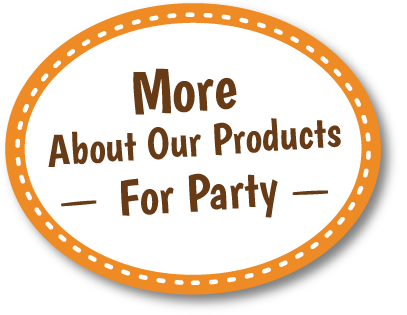 More About Our Products - It’s PARTY Time! Let's PARTY UP! HURRAY! Got everything READY for your events and parties?! 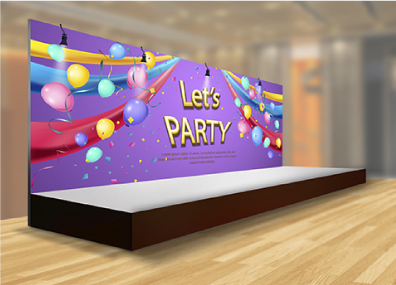 BannerSHOP proudly presents the “Grand Party Must-have Items” hereby as follows - backdrop and stage, banner, canvas for signature, foamboard and label sticker. Whatever themes, formats or styles you prefer, BannerSHOP have all the necessary to take your event to an extraordinary level! So, let's party UP and have a blast! Your Stage, Your Say ! The stage itself is the focus of venue! Simply pick your desired backdrop design and let BannerSHOP set your stage with its products of various types and sizes according to your preference! BannerSHOP's lightweight Pop Up Display and its newly-arrived Fabric Pop Up Display allow you to mount your own stage hands-on, with no tools required! For large-sized Pop Up Display and Wooden Backdrop, our professional team can provide one-stop service of installation and dismantle! Customize your ideal venue for an outstanding and successful gala! Foamboards? Not as Simple as You Thought! 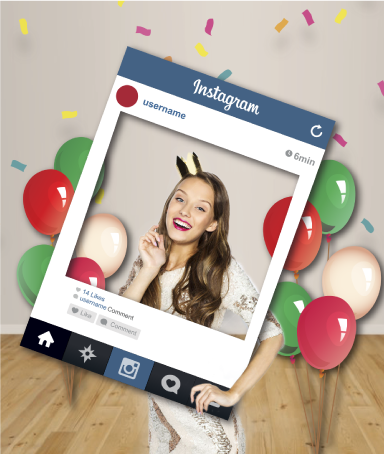 Party, Play, SELFIE! Take your selfies with the hottest foamboard frames props, post and share them with your friends! 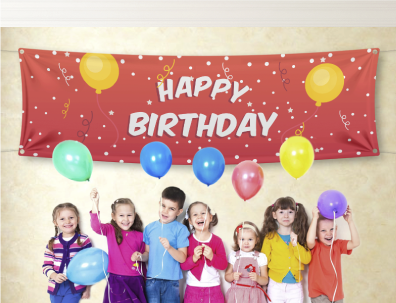 Photo booth displays are popular for all ages, no matter cartoon-shaped or character-shaped! All these can be tailor-made from die-cut foamboard (5-10mm), light weight and handy, highly affordable with bright image, applicable to the production of stage backdrop, foamboard stand and festive-themed props. Create your unique foamboards and have fun with your DIY party favours! 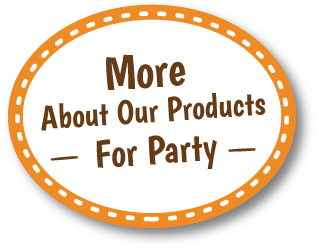 Party Stickers - Here, There and Everywhere! Label stickers are definitely the most versatile of all party must-have items! 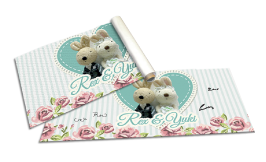 They are often seen with the event’s thematic logo or brand icons printed on, and can be used as the guests’ name tags, seating tags, mic tags, mini-game props, souvenirs and handy materials for venue set up - anytime, anywhere, to cater to your every need! One Banner For Both Front and Back Stage! You know, vinyl can be really useful! A decent venue for parties, large or small, cannot do without a finely-designed and eye-catching banner! Put it up high as the backdrop, or at front-stage for group photo-taking. One banner at the venue to satisfy multiple uses! Easily-stored, reusable, and absolutely good value! 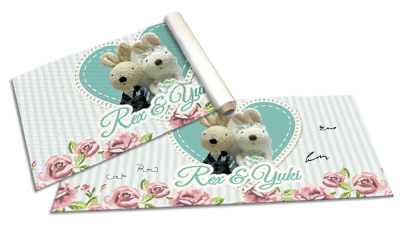 Canvas for Signature – It’s Something to Treasure! Not only for the genuine signatures on the canvas, but also for the warmest regards from your guests and friends! The roll of canvas is definitely something to treasure. Gala dinners, PR or wedding parties, 100 days celebrations, carnivals - whatever the occasion, it is of utmost importance for the host to get every single detail ready, giving your guests a warm welcome and setting a great impression that lasts! 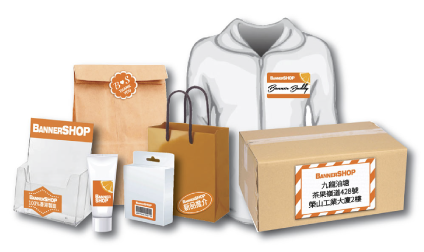 The above product information is provided by BannerSHOP.